AA’s has produced a new swimbait called the Shad Tail, originally launched in 2012. The Shad Tail incorporates a more traditional swimbait body shape, but has a few tweaks that set it apart from most other similarly designed baits. 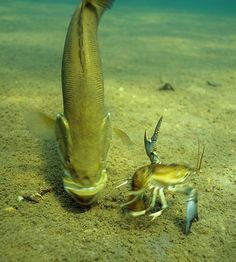 Think of it as a shad on steroids. With 10 sizes from 2-9 inches and 45 different color options, the Shad Tail is about as close as you can get to a bait that will catch everything that swims. 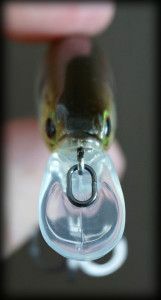 Why is the Shad Tail different than any other shad-shaped swimbait on the market? Three reasons: attention to detail, unique swimming action, and realistic body patterns. Each Shad Tail swimbait is individually hand poured using high quality materials, ensuring the consistency and proper swimming action needed in a successful swimbait. 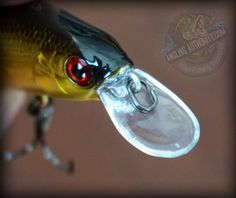 Instead of swimming with a simple tail-kicking action like most traditional shad baits, the AA’s Shad Tail creates a one of a kind rolling action, complimenting a shad tail that moves a tremendous amount of water for its size. The AA’s Shad Tail features a lifelike scale pattern giving the bait a three-dimensional texture. 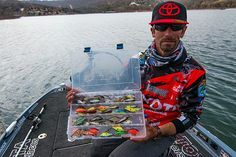 In the past, anglers have used their finger nails to scratch up the side of their plastics to give them a more realistic look in the water, but this is no longer necessary with the Shad Tail. The 6” Jumbo Shad is one that stands out as being extremely versatile for both fresh and saltwater situations. In freshwater, the 6” Shad will be great for big pike and musky, as well as lake trout when rigged up on a downrigger. In saltwater, the large profile is perfect for most big game fish, from stripers on the east coast, to tarpon and grouper in the gulf. When you think of a 6” soft plastic swimbait, it’s easy to come to the conclusion that swimming action will be sacrificed due to the sheer size of it. However, for a large swimbait, the Jumbo Shad has a one of a kind action, enabled by the extremely supple hand poured plastic used to make it. No matter whether you’re slowly crawling it across a weed line or burning it just under the surface, the Shad Tail continues to kick and swim straight when paired with the proper size jig head. I would recommend a 3/8 or ½ oz. head for the 6” Jumbo Shad to get the desired rolling/kicking action. No matter what the common forage is in your body of water, AA’s has a colour and size that will match it. So next time you’re in the market for a shad-type bait, look no further than the AA Worms Shad Tail. 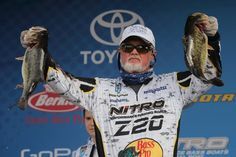 WIN AA’s Jumbo Shads: If you haven’t entered already, check out our contest page for a chance to win some AA’s Jumbo shads, along great baits from IMA, Optimum Baits, Reins Fishing and Vagabond. For more information on AA’s, check out their website. 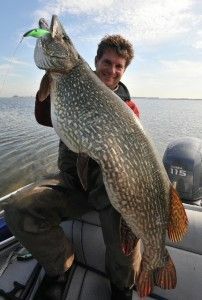 Steve is a talented multi-species tournament angler, based in Orillia Ontario. When Steve isn’t on the water, writing articles or editing YouTube fishing videos, he’s an Environmental Studies student at Carleton University in Ottawa, Ontario. Steve plans to pursue a career following his passion for the outdoors and in particular fishing.